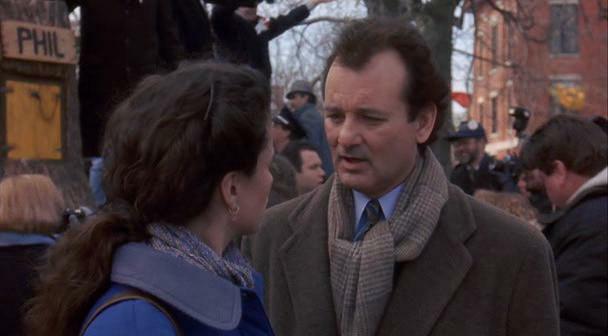 This morning in Punxsutawney, ole’ Phil the groundhog saw his shadow. Such a revelation was met with an anemic reaction since this winter has been quite mild. So, why do we watch, why does this town put on this yearly pageant? Perhaps even more puzzling- why has a comedy centered around this holiday only grown in acclaim and even reverence since it premiered back in 1993? American literary theorist and legal scholar Stanley Fish named the film as one of the 10 best American films ever made. What about it led the United States National Film Registry to deem it “culturally, historically, or aesthetically significant” back in 2006 when it added the film to its ranks? Now I love Bill Murray and Harold Ramis, but those guys don’t seem the type to hobnob with (what I’m assuming) must be a slightly snobby crowd in their new registry abode. Roger Ebert is an avowed fan. You get the picture. In this episode, Tyler is joined by Ben Seay to discuss Kathryn Bigelow’s The Hurt Locker and what we as Christians can learn from it. BENJAMIN SEAY was born and raised in Jacksonville, FL and received a BFA in Theater Arts from Elon University in North Carolina where he also studied history and political science. He was brought up in a Christian home and received Christ as his redeemer in the 5th grade. Since moving to LA he has been seen on the Award-winning series Mad Men and the cult-favorite Veronica Mars as well as in TV commercials and independent films. After many years of an ultra private and ultimately weak relationship with God, Ben found his first permanent church since his teen years and a great community of spirit-filled artistic friends. In his spare time he enjoys playing the guitar, family geneology, and writing.